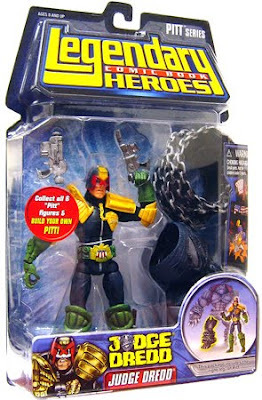 In my action figure collection, I have the Legendary Heroes Judge Dredd figure. (See pic.) He's out of the packaging and played with and whatnot, but since I don't have a full compliment of accompanying 2000 A.D. figures that can go with him, I thought it might be cool if he at least had a Lawmaster bike. My question, then, is: has anyone build a 1/12 scale Lawmaster and how did they go about it?